A trend that is quickly rising in 2017 is High-Gloss furniture. 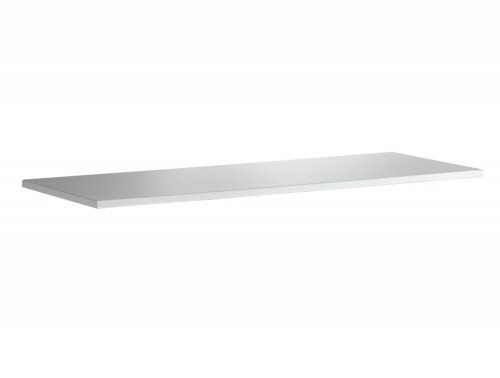 This is not only because of its sleek, clean look, but also because of its strength and moisture resistance. 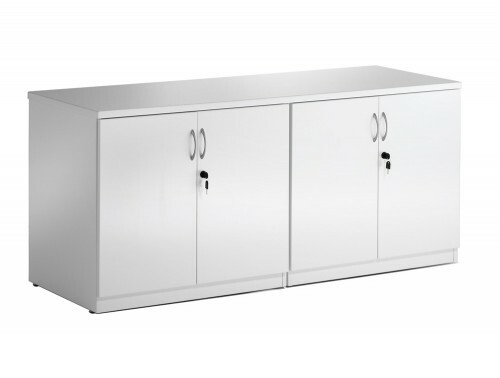 High-Gloss furniture is a great way to brighten up your space, especially if it is dark and lacks natural lighting. 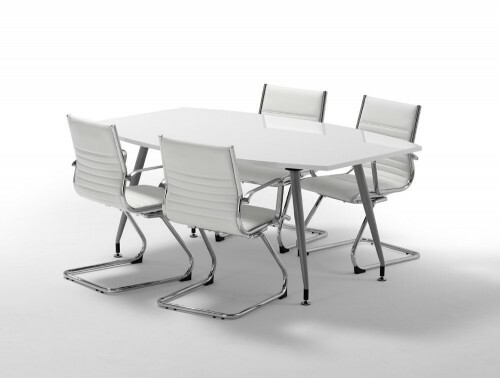 Sleek, high-gloss finishes bring orderliness and class to your office environment. 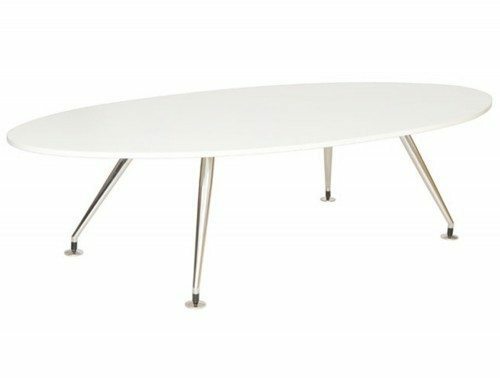 Not only does high-gloss furniture look incredibly high-class, but it also maximises the protective layer of your furniture. While paint can easily wear and tear, the high-gloss layer will ensure your furniture is durable and lasts a very long time. It’s also easy to clean and looks extremely high quality. High-gloss furniture does wonders in lighting your space. The glossy paint helps to reflect light around the room, much like a mirror, making the colour of your furniture look brighter and more vivid. 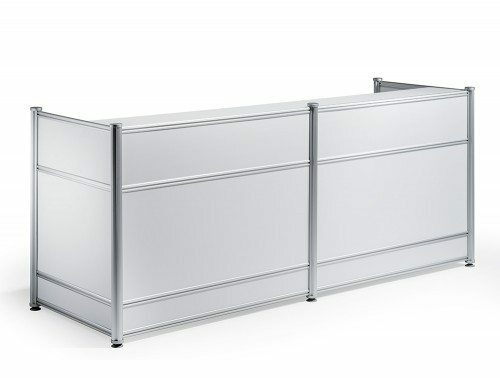 Executive office furniture looks extra sleek with a high-gloss finish, ensuring the image you portray to your clientele is both professional and of high quality. 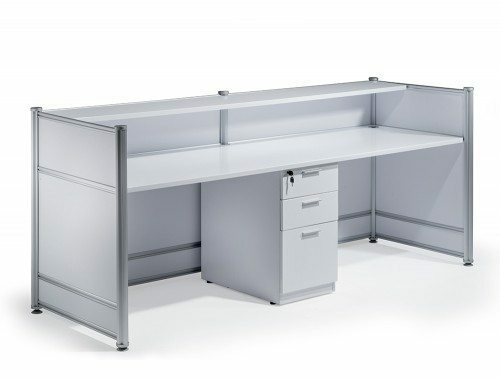 Give your office furniture the subtle richness and warmth it needs to really stand out and be unique. 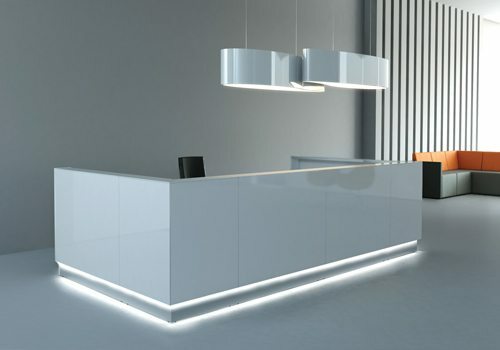 Choosing to go high-gloss will not only benefit your appearance now, but also the longevity of your office furniture in the future. Many people nowadays are beginning to telecommute and work remotely from home. 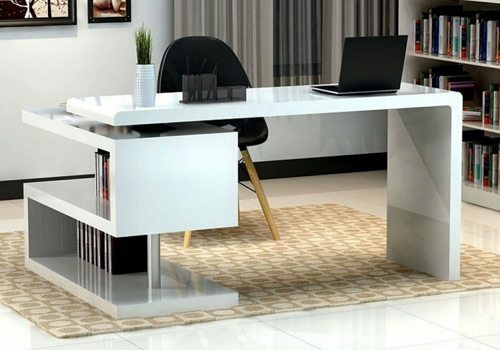 Although it’s possible to work from various places around your house, studies have shown that it’s very important to have an allocated work-space that is clean and clutter-free so as not to get distracted. Whether you’re a stay-at-home parent or live alone, your home office should be somewhere you can shut out the rest of your home life from and focus on the task at hand. 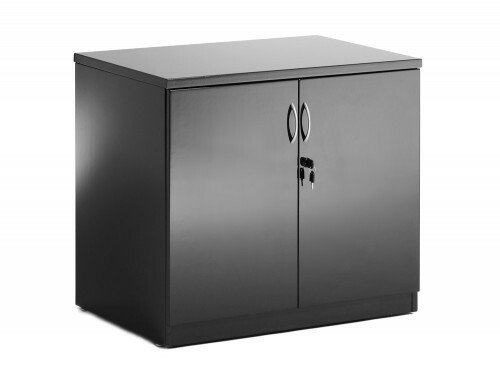 In saying so, your home office furniture should be durable, practical and stylish. When working from home, the temptation to stop for a coffee break or to have a snack are all too real. 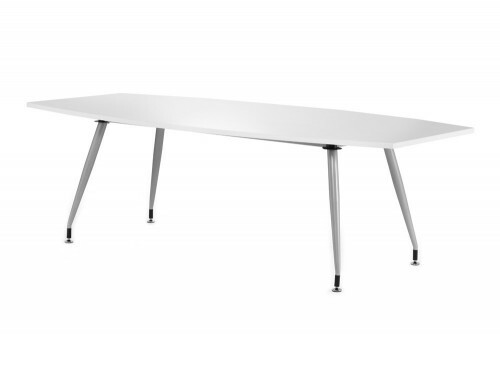 High-gloss furniture is easy to wipe clean, meaning spillages are easily fixed without damaging the furniture. High-gloss finishes also do wonders for small spaces, as light is easily reflected around the room, giving the illusion that your space is bigger than it really is. 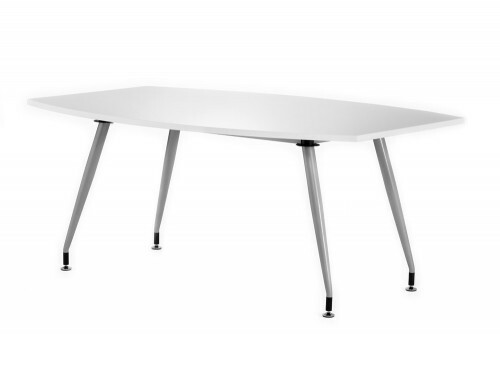 Another trend fast arising in this modern day and age is minimalism. 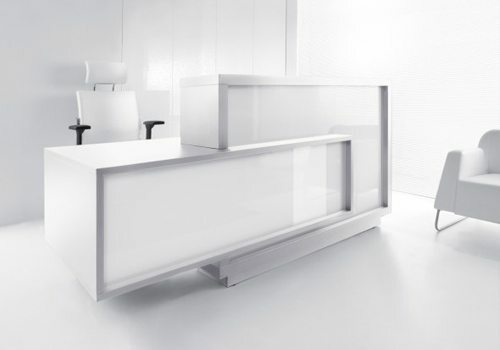 High-gloss office furniture offers a smooth, clean, contemporary and minimalist look to any office space. 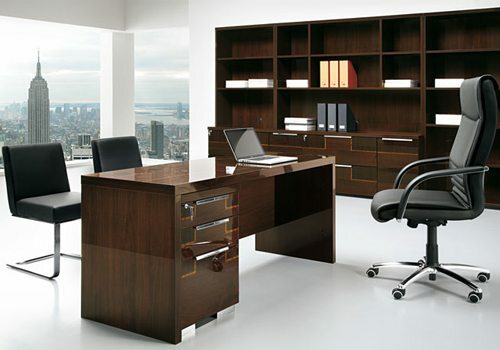 Combined with dark wood finishes such as walnut and chestnut, you have yourself a bold and contrasting office furniture suite! 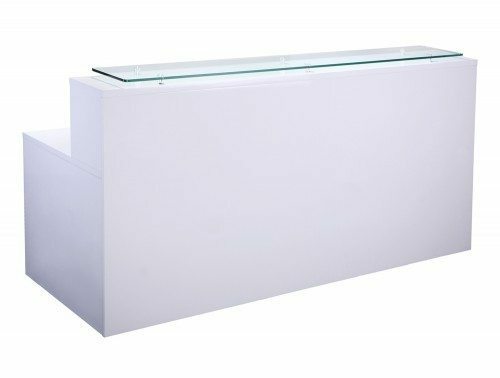 High-gloss reception units are a great way to ensure the first impression you give is sleek and professional. 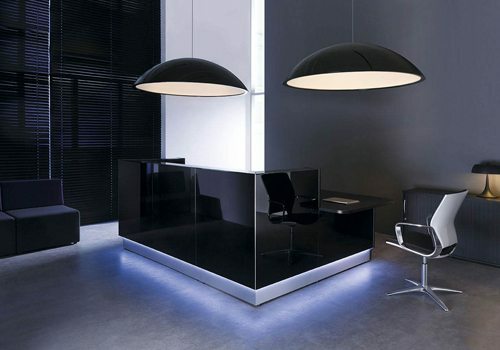 Your office reception area is a space that represents your brand and the image you want to portray. 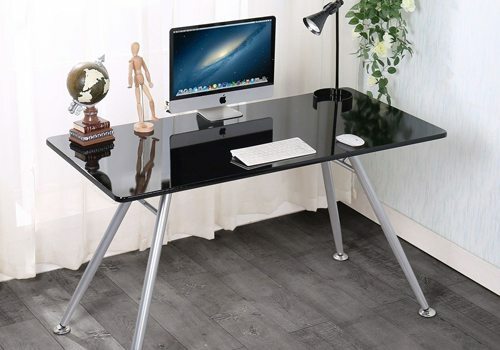 Deciding to purchase a High-Gloss desk for your computer will bring awe to anyone who walks into your office. 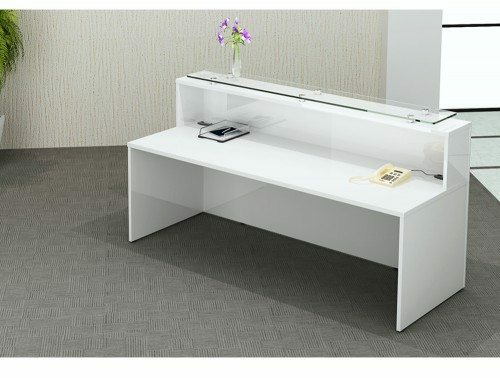 Your room will look spacious, bright and most importantly, executive. You will have comfort in knowing that your High-Gloss furniture is timeless in its design, but also that it will last you a long time. 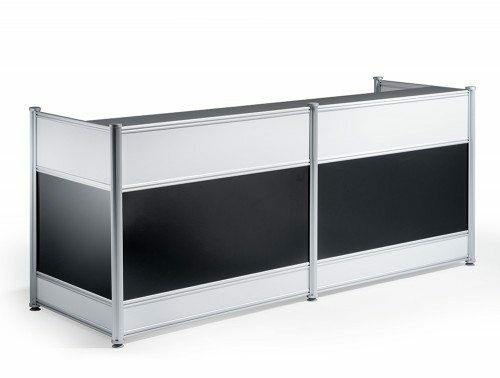 High-Gloss furniture is easy to maintain and will accentuate your office space. 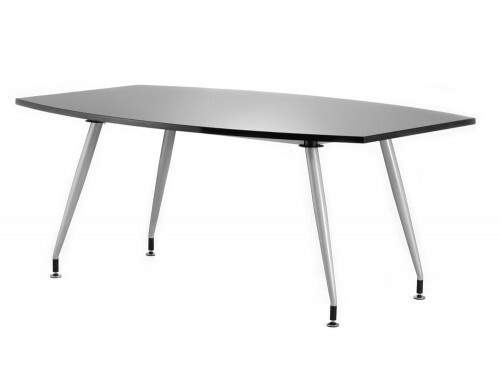 At Radius Office, we can assure you that our furniture is of the highest quality. 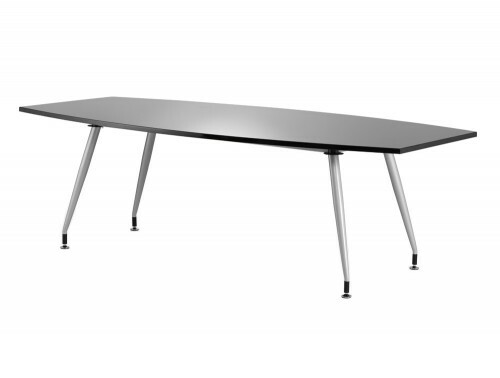 We have a wide range of High-Gloss office furniture, from desks, chairs and storage suitable for all office environments. 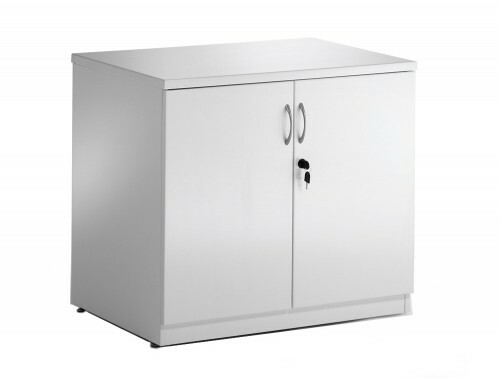 Not only does high-gloss furniture look incredibly high-class, but it also maximises the protective layer of your furniture. While paint can easily wear and tear, the high-gloss layer will ensure your furniture is durable and lasts a very long time. It’s also easy to clean and looks extremely high quality. 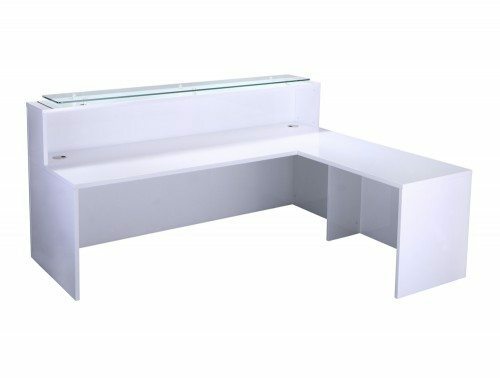 If you’d like to find out more about our range of High-Gloss Office Furniture or discuss your requirements, simply request a callback.